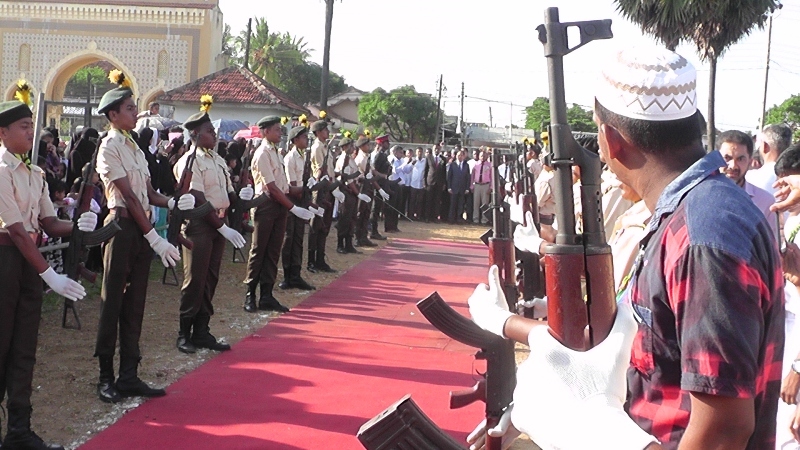 Students from a Batticaloa school, who were made to form an armed guard of honour for the governor of the Eastern province, had received weapons training from the Sri Lankan army. Amid widespread opposition to militarisation within schools across the North-East, photographs of the students bearing rifles and standing guard for governor Hizbullah had raised concerns among locals. The students from grades 8 to 12 of Kathankudy Central College had received a month of weapons training from the Sri Lankan army under a ‘cadets’ scheme.